We offer full-service lawn care, specialized services, weed control, and insect control in Smyrna. Nature’s Turf doesn’t offer one-size-fits-all lawn care. Our team of highly-trained lawn care specialists understand the intricacies of each type of turf and adjust their treatment plans based on the needs of your lawn. We treat each lawn on a case-by-case basis to ensure your grass has what it needs to thrive in our southern climate. Smyrna residents have the luxury of gorgeous weather almost year-round. This means that your yard might need a little extra work to keep it lush, green, and well-kept. Nature’s Turf is Georgia’s Top Rated Local® lawn care service in the Smyrna area. We provide superb lawn maintenance, shrub and tree service, and more. 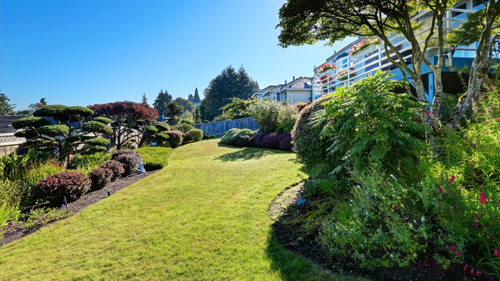 Every yard, every homeowner, and every lawn is completely unique. Nature’s Turf customizes our lawn care plans based on the specific needs and wants of the homeowner, the lawn, and the foliage. This can include everything from fertilization to aeration to insect control and more. We offer guaranteed results, so if for any reason you are not fully satisfied, just give us a call and we will make it right! The overall outdoor aesthetics are not just dependent on the look of the lawn; shrubs and trees also need specialized maintenance and care. Nature’s Turf offers unparalleled shrub and tree care in Smyrna, such as disease control/prevention through the most environmentally friendly means on the market. This provides effective care without putting your health at risk. Unfortunately, Georgia has to deal with fire ants, grubs, mosquitoes, and other lawn pests. Once these pests have established a home in or near your yard, it’s necessary to call in professionals to eradicate the problem. We offer a two-time application that will rid your lawn of fire ants and their invasive anthills, and other services to prevent grubs and lawn pests from destroying your grass. It’s also important to aerate your lawn. Our core aeration services keep your grass healthy, lush, and oxygenated. Many different turf types will benefit from this specialized lawn service, so call today to learn how it can improve your lawn. Whether your yard needs timely lawn care services or your beloved tree needs specific disease care or prevention, Nature’s Turf can help. Give us a call today to receive a free quote on any of our lawn care services or no-contract lawn care programs.